‘If Tony can, you can too!’ Get in quick to snap up one of our newly minted, limited edition Overland totes. With original intricate illustration of solidarity by talented cartoonist Sam Wallman (and with a little nod to the awesome work of Keith Haring). 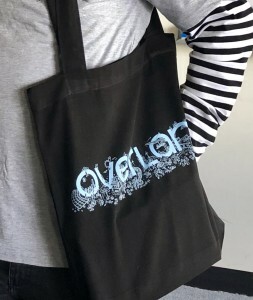 Black with light blue artwork, printed on 100% cotton bags. Spacious enough to carry ten or so books or one to two Chihuahuas. 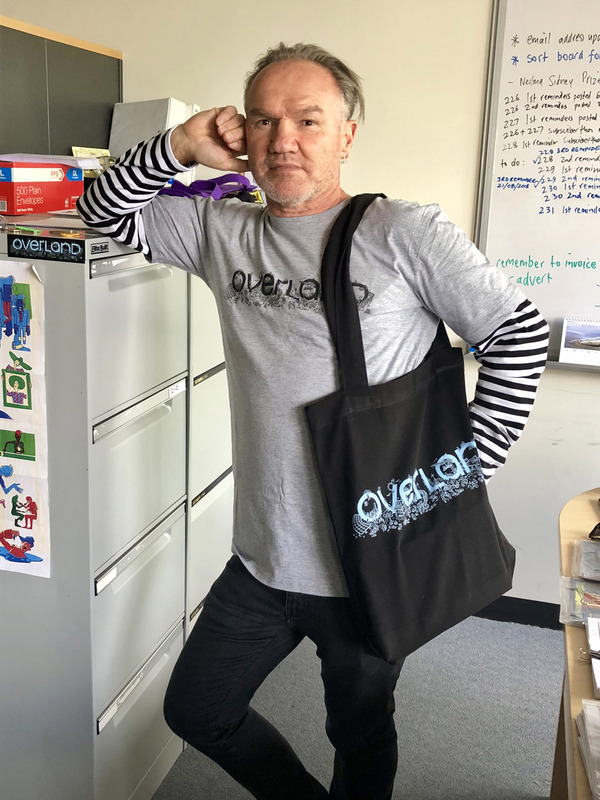 Modelled by regular contributor, Tony Birch. Between 9 and 16 November, postage is free for merchandise being shipped to Australia! 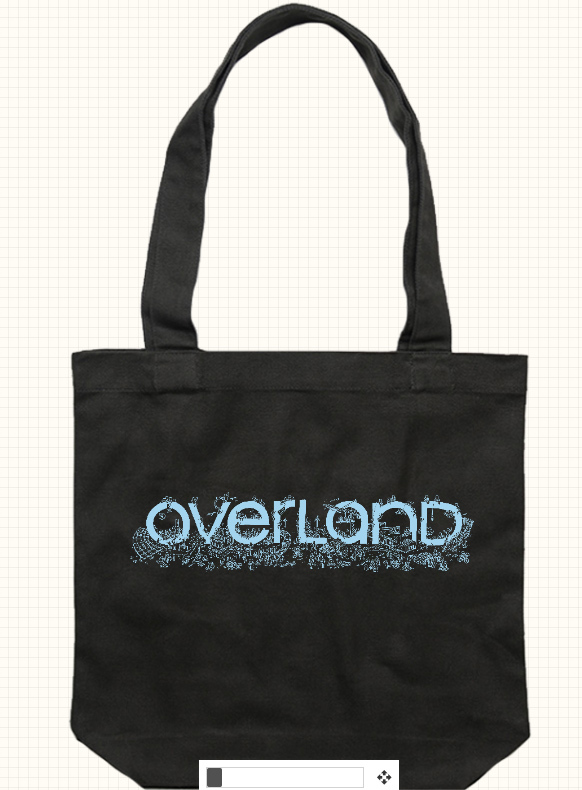 So get your wearable Overland – totes, tees and stickers – when you take out or renew your subscription! Note: Credit card details are not held by Overland , but managed securely through eWAY. 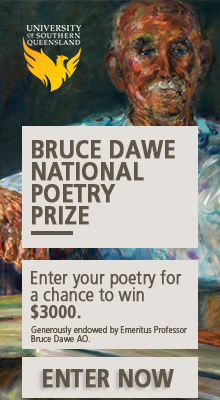 Donations: If you wish, you can add a tax-deductible donation during the checkout process.